To end the work week leading up to the last weekend before Christmas, SuperPhillip Central has a new top ten list to share with our readers and any passersby. Video game music is something we adore-- we listen to it outside of games, we even have our own list of favorite VGM that we add to every Monday. Today's top ten list is all about game series with soundtracks that are consistently excellent and of the utmost quality. Do you think you can guess what some of the franchises will be without looking? After you've combed through our list, feel free to list some of your own favorites! Donkey Kong is one of gaming's oldest mascots, so he has a lot of history to him. 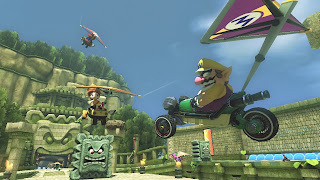 From the humble chiptune theme from the arcade game to his rebirth as a platforming hero in Donkey Kong Country, Donkey Kong has seen a lot of action over the years, and he's had a whole heaping of great soundtracks. The most obvious of these is the Donkey Kong Country trilogy. Then there's Donkey Kong 64, though this soundtrack is more akin to Banjo-Kazooie than the SNES trilogy, and there's Donkey Kong: Jungle Beat, a game whose composer would go on to score the Super Mario Galaxy games. There's no doubt that Nintendo's main monkey has earned himself a spot on our list. Masahiro Sakurai's creation is number nine on our countdown. The pink puffball has starred in so many games across so many genres, across so many systems, across so many console generations. 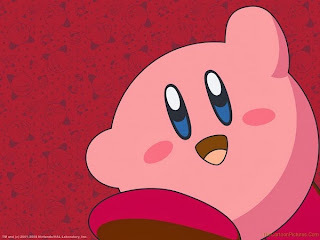 With his debut in Kirby's Dream Land on Game Boy, many recurring themes were born that have continued to be heard throughout the franchise's life. Through Kirby's Adventure, various spin-offs like Block Land and Air Ride, games on both consoles (Super Star, Dream Land 3, Kirby 64, Return to Dream Land) and handhelds (Dream Land 2, Amazing Mirror, Canvas Curse, Mass Attack), the series has held a high standard for its cute and whimsical music. 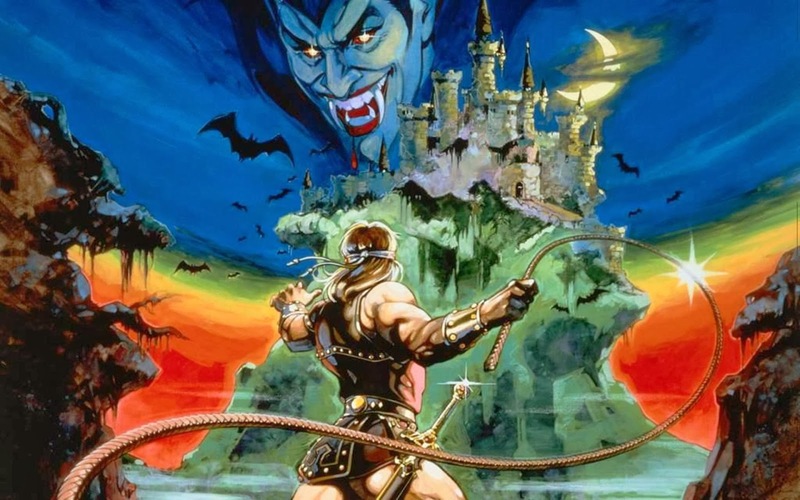 Whether playing as a Belmont, Soma Cruz, or Alucard, you know your vampire slaying will not go without awesome music to accompany you. Castlevania is a series heralded for its catchy music, whether heard in the NES trilogy, Super Castlevania IV, or the various games directed or assisted in the creation of by Koji Igarashi. Even the Western reboot has themes that are quite good, though to be honest they aren't anywhere near the quality of their Japanese superiors. 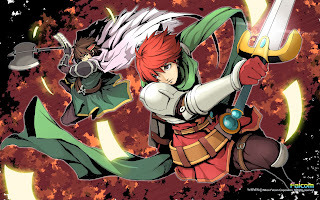 Ys is a series that has been around the block more times than we can count. However, its gameplay continues to amaze and engage, and its various sequels add to the series' lore on a constant basis. 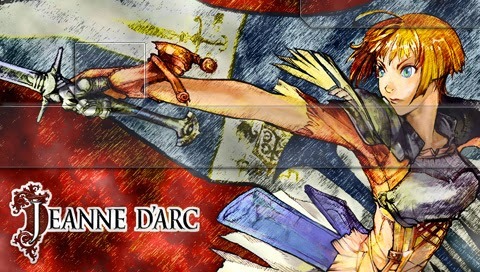 One factor of Ys that we probably don't even have to spell out to most familiar with the franchise is the music. 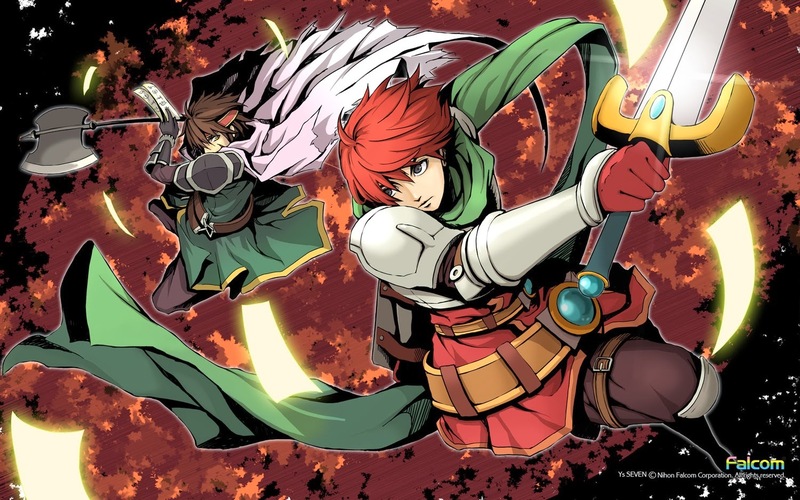 From its classic tunes by famous video game music composer Yuzo Koshiro, to its more modern rock arrangements, the Ys series is one of the role-playing franchises with the greatest soundtracks. 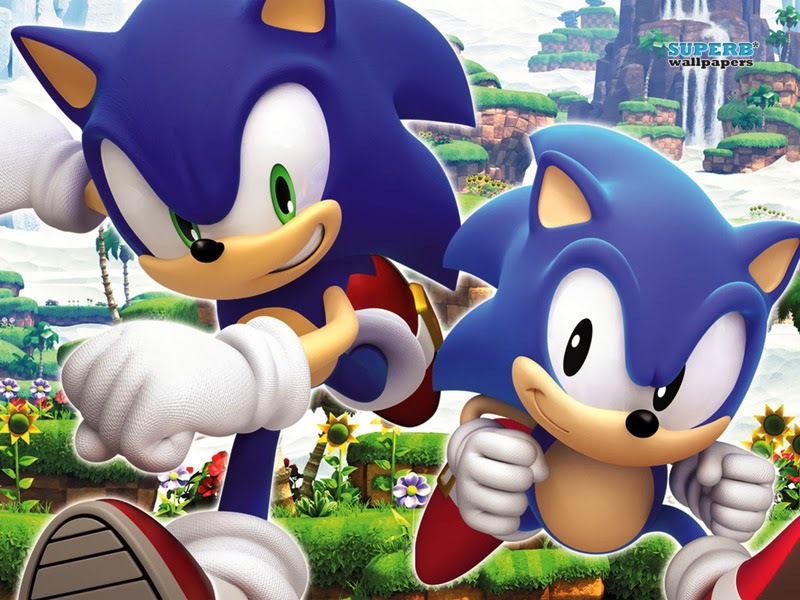 Outside of some errant games with less than stellar soundtracks (we're looking at you, Sonic Chronicles), the Sonic the Hedgehog series has had a myriad of magnificent soundtracks. Whether you're into orchestral music, cheesy rock music, old school 16-bit sounds, rap, jazz, vocal, whatever-- there's probably a Sonic the Hedgehog soundtrack for you. From Masato Nakamura's original Sonic the Hedgehog soundtrack to current day Sonic with the music of Sonic Colors and Lost World, the series continues with its phenomenally well composed and performed music. 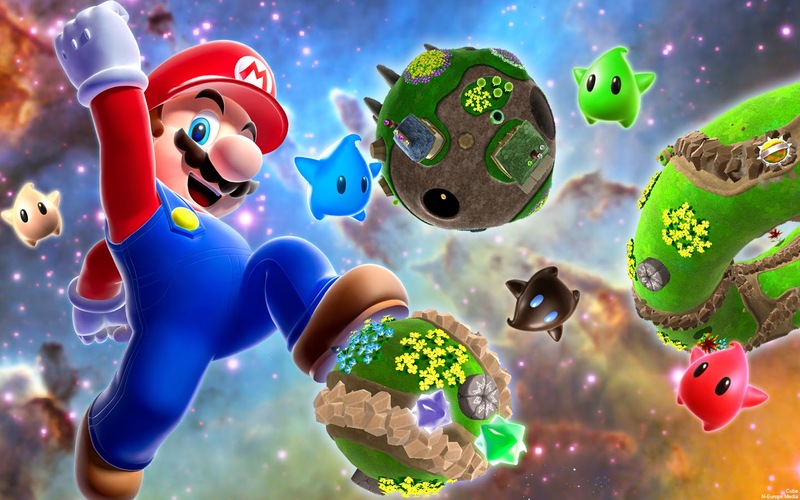 When we say Mario, we're talking about the main Super Mario series. No spin-offs, so that excludes all of the sports games, dance games, RPGs, etc. 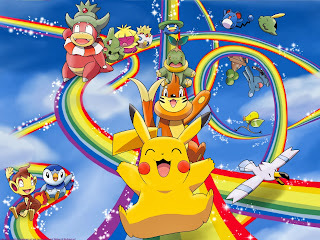 Still with the music being chosen from the mainline games, there is a lot to experience and enjoy here. Even New Super Mario Bros. has well composed music, despite not having the best sounding instrumentation. Regardless, who can resist one of the most recognizable themes of gaming with the main theme of Super Mario Bros., the orchestral magic of the Super Mario Galaxy games, and Koji Kondo's magnificence in creating the majority of the Super Mario World soundtrack through using the same theme only in different keys, tempos, and time signatures? 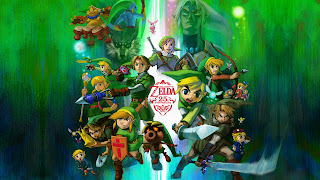 A series known for its famous main theme, The Legend of Zelda series features many other recurring themes such as Zelda's Lullaby, the theme played when selecting a file, Hyrule Castle, Kakariko Village, among others. 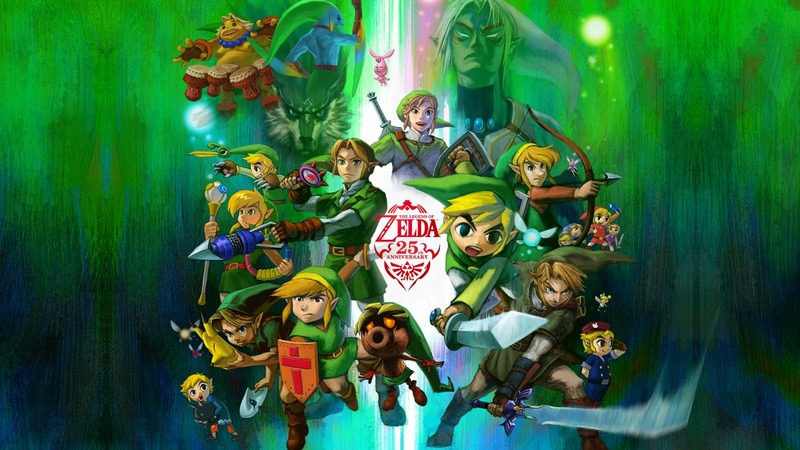 Dating back to the original NES hit, moving from there to its black sheep sequel, then the blueprint for which all 2D Zelda games are measured with A Link to the Past, the 3D Zelda games with Ocarina of Time, Majora's Mask, Wind Waker, Twilight Princess, and Skyward Sword, the music in the series is always sensational. While veteran Nintendo composer Koji Kondo might not compose much for later Zeldas, his influence and direction is still followed to this day, making The Legend of Zelda franchise an easy pick for number two on our list. 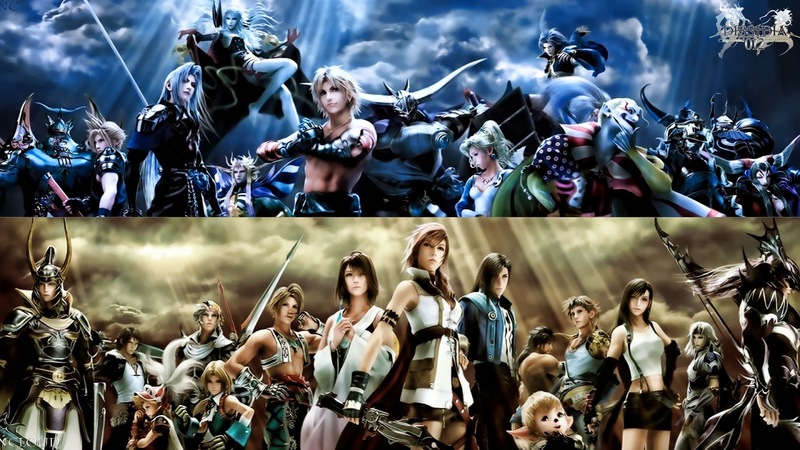 For our number one pick, it's really difficult to even come up with a poor soundtrack from all of the various Final Fantasy spin-offs and mainline games that have come out over the span of 25+ years. 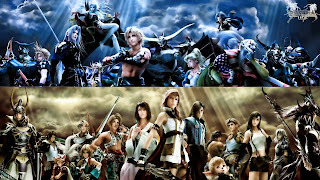 From the series' humble beginnings on the NES/Famicom to its debut on the PlayStation, to music heard in the present, Final Fantasy games may not have consistent quality, but the music is second to none. Besides the obvious picks of Nobuo Uematsu's numerous rightfully heralded works, there's Hitoshi Sakimoto's splendid Final Fantasy Tactics scores, Kumi Tanioka's fabulous worldly Crystal Chronicles score, Masashi Hamauzu's fantastic Final Fantasy XIII score, and so much more. It is with these reasons that SuperPhillip Central picks the Final Fantasy franchise as the series with the most consistently awesome music. Mario Kart 8 is shaping up quite nicely, as today's Nintendo Direct trailer has already shown. Here are some screens to show you what the game looks like in still form. Mario Kart 8 has a planned release date for the nebulous time of Spring 2014. Coming fresh off the beginning of today's Nintendo Direct is a pleasant surprise for Dynasty Warriors fans. It's a game akin to that series, but it's covered in a nice Legend of Zelda coating. Just don't be concerned that this is the Wii U Zelda that was promised! NES Remix is a downloadable Wii U title that puts players through the ropes, having them complete various challenges in classic Nintendo Entertainment System games like Super Mario Bros., Donkey Kong, Ice Climbers, and more! The game is priced at $14.99, and it's quite enticing for retro fanatics like ourselves! 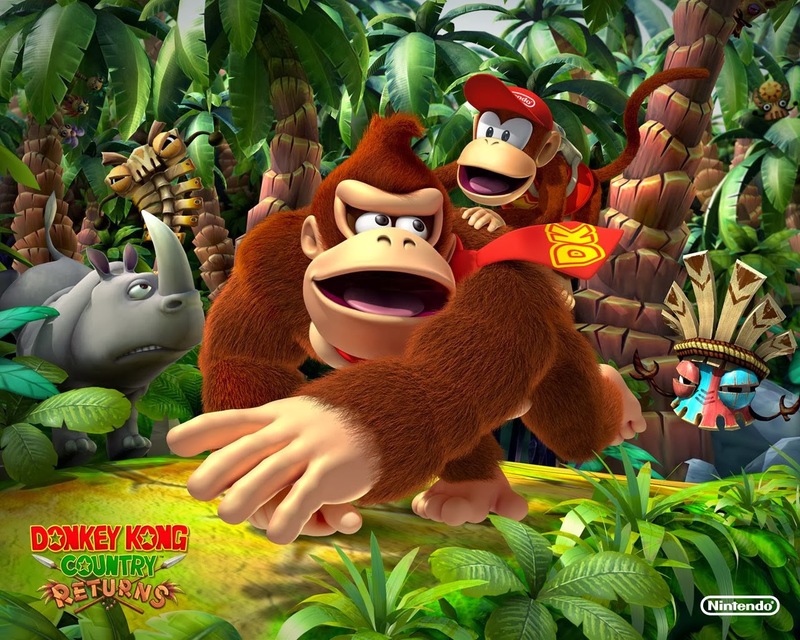 Revealed at Spike and Geoff Keighly's pathetic attempt to make a gaming awards show, Donkey Kong Country: Tropical Freeze had its fourth character introduced, Cranky Kong. An announcement truly worthy of the show it was on. Check out this new trailer for the game that is due out for us lucky North Americans on February 21. 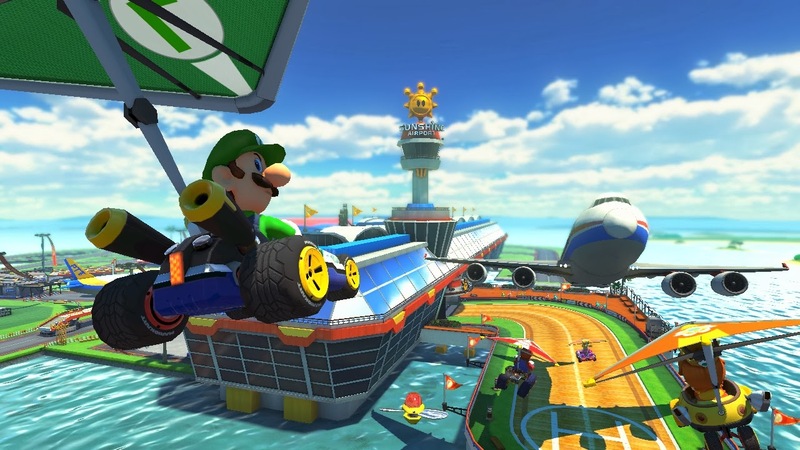 Mario Kart is coming to Wii U, and it looks sensational. From looks at jetting alongside planes, freeways and airport terminals, to exploring an ancient Thwomp themed ruins, Mario Kart 8 is beefing up the track ideas significantly-- not to say past games had poor course design or ideas! 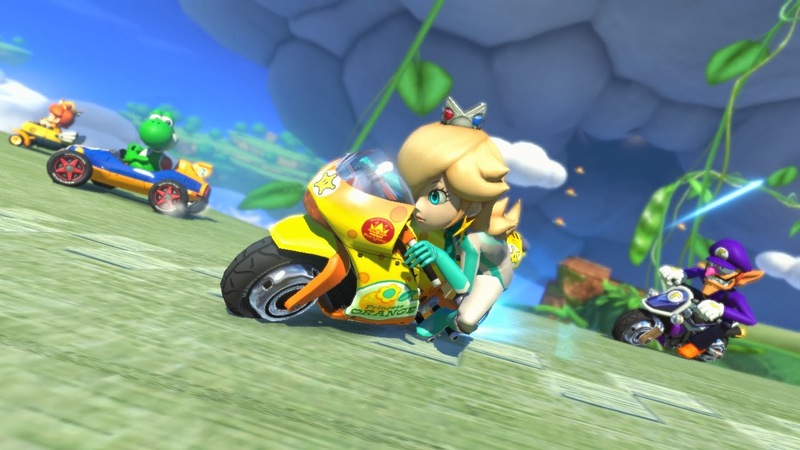 Expect Mario Kart 8 to finally arrive on Wii U this Spring. It's been a while since we've last encountered the Rank Up! series, but today's a special occasion. 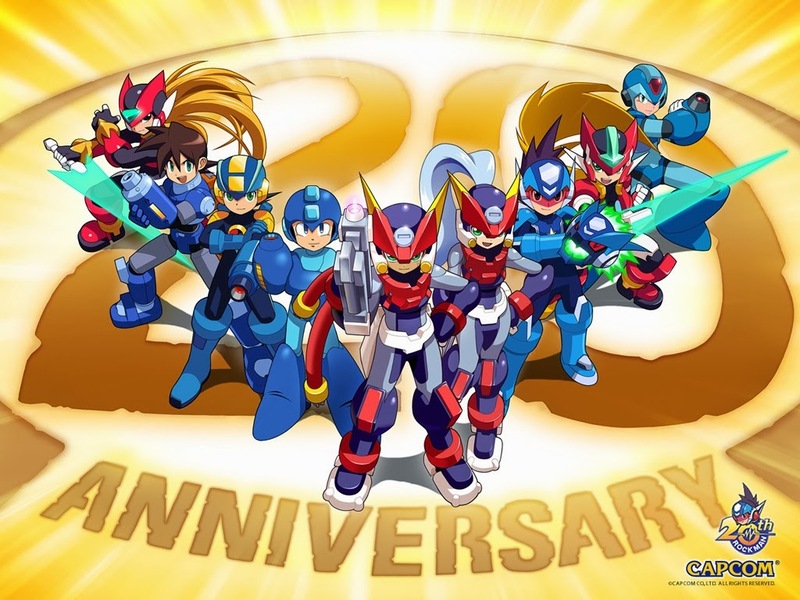 It's the 26th anniversary of the Mega Man franchise today, and while we've already covered Mega Man X (who turns twenty today), we've never listed our order of classic Mega Man games from least favorite to most favorite. Unlike the X series, however, there is no bad game in this bunch of ten titles! After you're done seeing our list, feel free to give us your own order of the games! 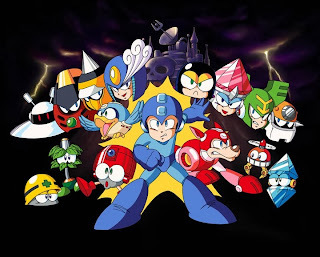 While there are definitely no stinkers in the classic Mega Man series, there are some that feel like efforts that didn't do much to try to change the formula of the series. 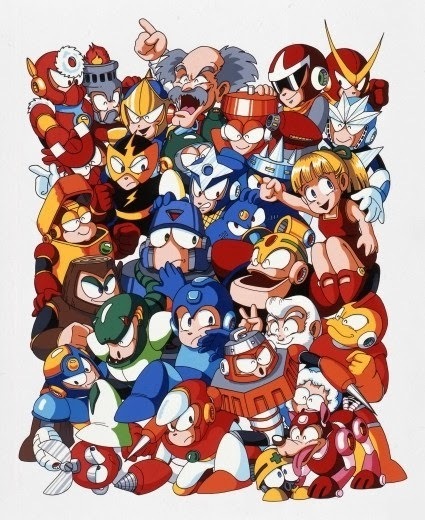 Mega Man 5 is one of those. Its much less challenging than previous entries, and there's a lack of real innovation. Of course, if you have something that isn't broken, there's no need to fix it, as that paraphrased saying goes. In MM5, however, there is something very cool in the game. There are several optional and hidden circuit boards that when all have been collected unlocks the robotic avian helper Beat to assist Mega Man on his mission. 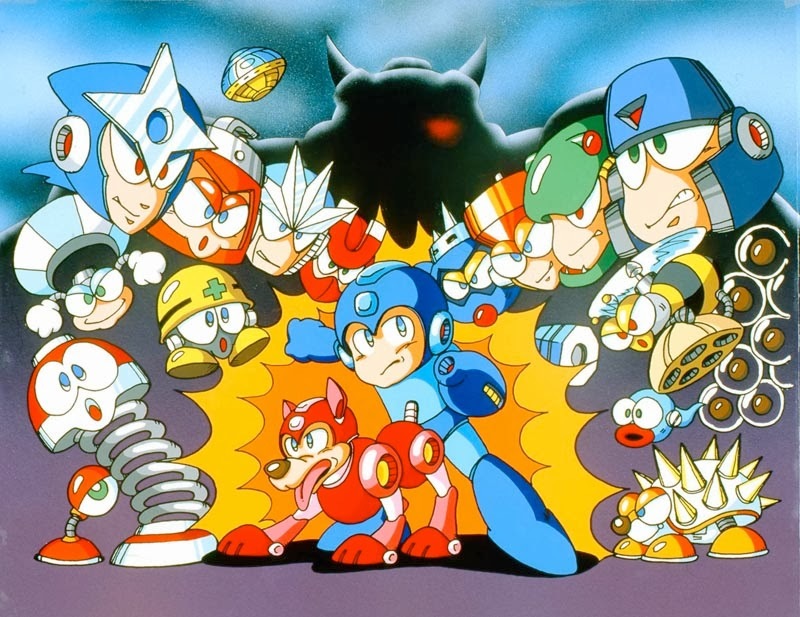 Wacky and rather forgettable bosses aside, the final NES installment of Mega Man, Mega Man 6 is a great entry in the series, offering larger mid-bosses, more complicated enemy designs, and branching paths within levels. 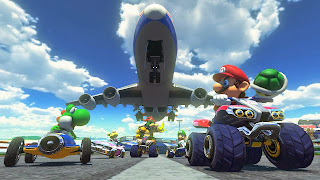 The addition of Rush Adapters makes it so Mega's canine cohort Rush isn't relegated to be stood on or hopped off of. Instead, Rush fuses with Mega Man to create one heck of a powerful robot, allowing temporarily flight capabilities among other interesting uses. Now this pick for our number eight spot might get a lot of controversy from passersby reading this list. That isn't our intention with this choice, so please hear us out. Mega Man 9 returned to the classic NES style roots the series was once known for. The game adds different level obstacles and gimmicks that would have been impossible to do on the NES. Our problems with the game are: 1) It's not very original, 2) A lot of the levels use spikes as a crutch for difficulty, as well as unfair placements of traps that unprepared players would easily die at. Still, don't get us wrong, as Mega Man 9 is a terrific game all the same, and we can't thank Inticreates enough for making it. Mega Man leaped into the 16-bit era with Mega Man 7 on the Super Nintendo. It features larger sprites for characters, making for a different experience. However, the same incredible level design the series is known for is still pretty prevalent in Mega Man 7. 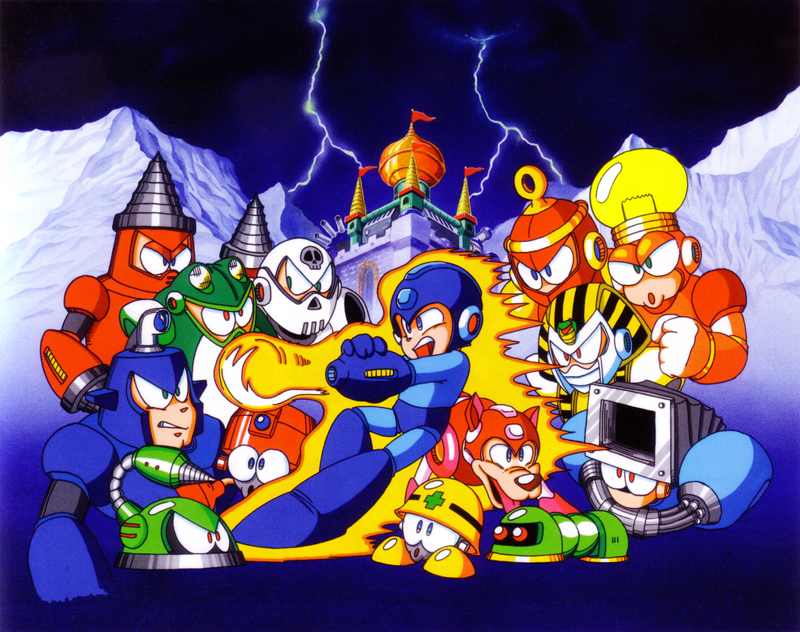 The game is structured a little differently from past games, having an opening level at the beginning of the game and a midpoint level that occurs when half of the Robot Masters have been defeated. Mega Man 7 also introduces the awesome tag team of Bass and Treble, a shop to purchase helpful items at, and a soundtrack that compares favorably to previous entries. 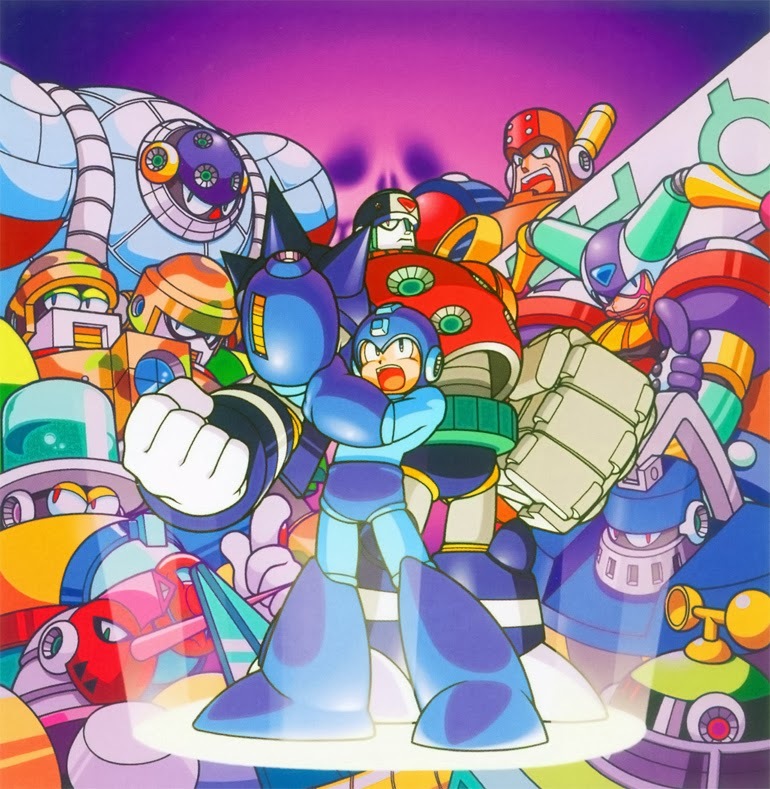 Only one entry of the Mega Man series hit the Super Nintendo. The next would jump ship from Nintendo to Sony and SEGA's platforms, the PlayStation and the Saturn respectively. 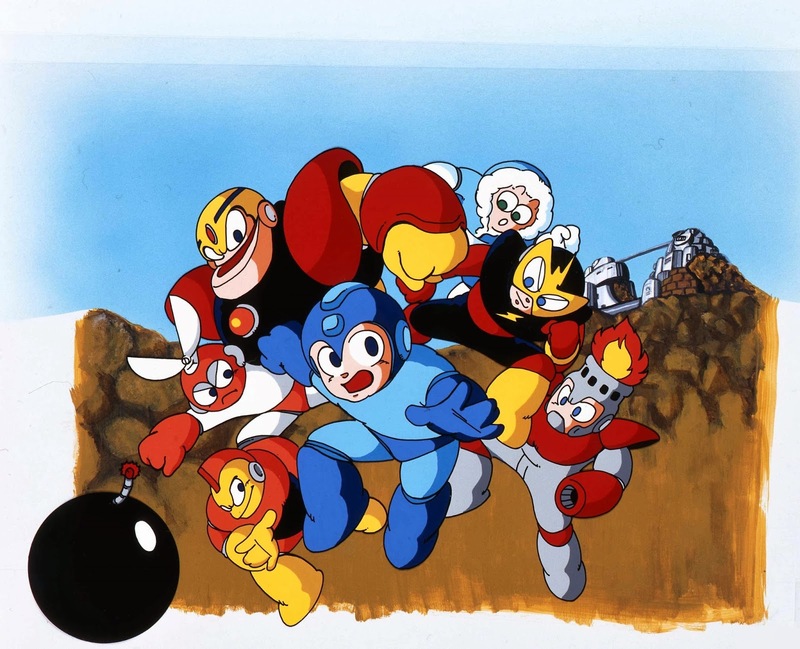 The budget is bigger with Mega Man 8, showcasing wonderful anime cinematics (just don't expect quality voice acting), a higher quality soundtrack, more colors, among other lovely content. The addition of bolts as the hidden collectibles within the game, makes the replay value of Mega Man 8 grow considerably. Using said bolts at Dr. Light's house to create new parts for Mega Man meant there is a level of strategy in which parts best suits the player's play style. While some might turn their nose up at the two infamous "Jump, Jump, Slide, Slide" levels, we wholeheartedly enjoy them. With the success of Mega Man 9 two years earlier, Capcom and Inticreates took the proper steps to capitalize on that game's success by releasing a sequel. 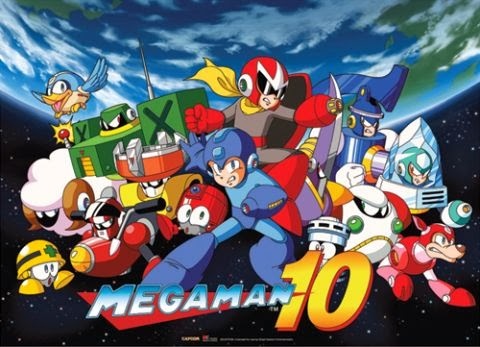 Mega Man 10 offers a lot of content for players to sink their teeth into. 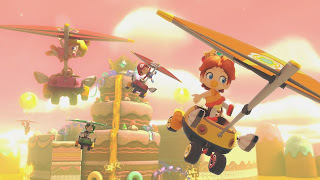 For one, there's the main story, giving players multiple difficulties to choose from, which allows veterans as well as beginning players to fully enjoy the game. The difference between difficulties is based on different platform placements and level setups (e.g. 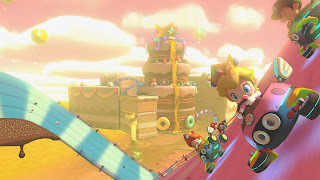 spikes are covered by platforms), a challenge mode that gives players 88 unique, much more bite-sized stages, and Proto Man and Bass (the latter is DLC) as playable characters. It's a great Mega Man game, and we're deeply depressed that Mega Man 10's respectable sales did not garner more installments in the series. 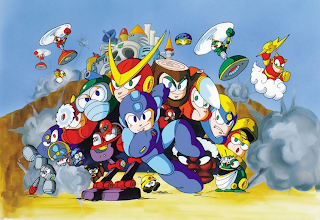 Despite having two less Robot Masters in the game (unless you play the PSP remake, Powered Up), the original Mega Man is pure, old-fashioned fun with less flourishes and flash than future games. For the only time in the series, players earn points for defeating enemies and bosses. 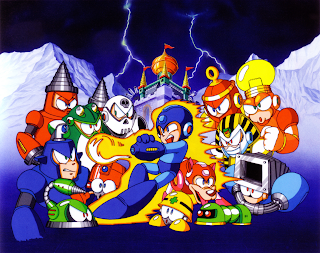 The game introduced the original groundwork for the rest of the series, a rock-paper-scissors-like Robot Master weapon system, where one Robot Master's special weapon would be powerful against another Robot Master. 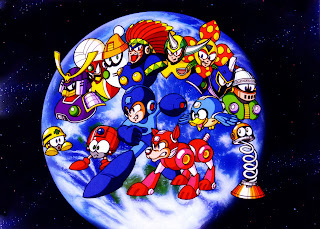 Finding the right order to take on each Robot Master and their stages makes the game much more manageable. However, if you want a challenge, you can always play them out of order. The original Mega Man has stellar design, creative levels, and still stands up today as excellent. Introducing a new villain for Mega Man to overcome, Mega Man must take on a new scientist named Dr. Cossack. The formula remains unchanged for this fourth installment, having the player choosing which order of Robot Master stages they wish to attempt to beat and gaining each fallen boss' special weapons. The big additions to this entry in the series are the ability to charge up Mega Man's signature weapon, the Mega Buster, as well as the arrival of the flip top robot Eddie. 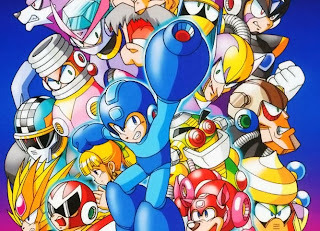 While many consider Mega Man 4 the start of the decline in quality of the series, the game has many clever level elements thrown in, great music, and a lot of end game content to justify its place on our list. 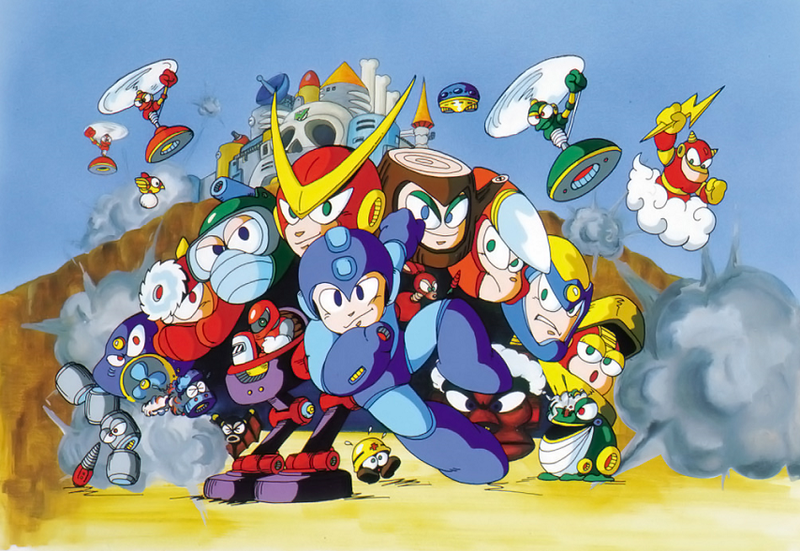 This might be a sin in gaming, but we actually don't find Mega Man 2 as the best in the series. 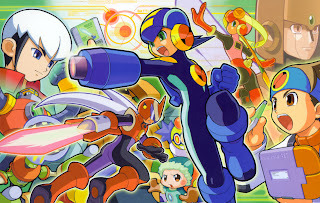 It is definitely the most important game in the entire legacy of the Blue Bomber, as it introduced many concepts and mechanics that subsequent Mega Man games would use. 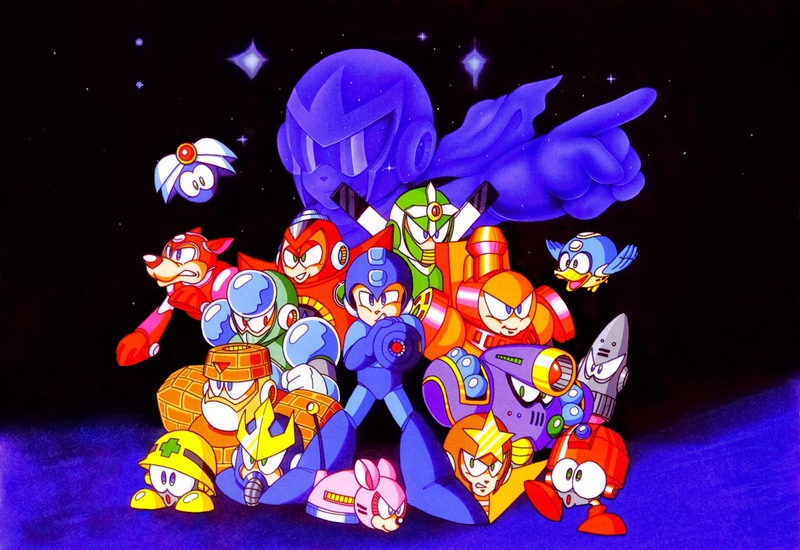 Mega Man 2 has incredible level design, music that is highly memorable and storied by old school gamers like ourselves, and the Robot Masters are some of the most creative and iconic. However, certain things are detrimental to the overall package. For one, there is a boss in Dr. Wily's stages that requires a certain special weapon. When the special weapon's energy has run out, you basically must die on purpose because the boss in that stage is vulnerable only to that weapon. Also, the normal difficulty is a bit too easy, while the difficult difficulty is a bit too hard. There is no middle-of-the-road difficulty. Regardless of these nitpicks, Mega Man 2 has a wonderful reputation for very good reason, it's phenomenal. 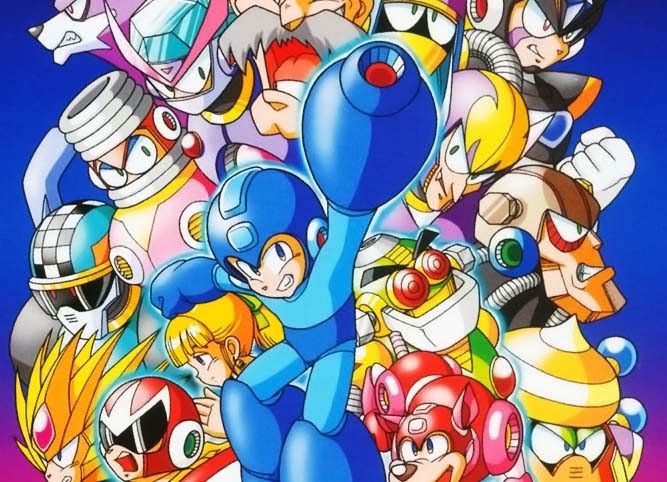 Mega Man creator Keiji Infaune has stated multiple times that working on Mega Man 3 was much stressful to him. In the art world it is said that a little suffering helps the creative spirit. ...Or something like that. We don't dabble much in the art world. Anyway, Mega Man 3 much more content than its predecessors, giving the player more levels to run, jump, and shoot through than ever before. It's not just quantity either, as there's a substantial amount of quality present as well. Mega Man's trusty canine companion Rush makes his debut, as does a helmet-with-a-visor-wearing brother in the form of Proto Man. Mega Man 3 is also quite challenging, but it's seldom ever unfair. For these reasons we have come to the minority opinion that Mega Man 3 is the best that the classic series has to offer. SuperPhillip Central is preparing for the upcoming official beginning to winter. Sure, we could have taken the easy way out and sat down with some cocoa, but we'd rather warm up with some genuinely fantastic video game music. From Mega Man Battle Network to Gods Eater Burst, the range of music is unspeakably wide. Oh, good old ACDC Town, the hometown of hero Lan in the Mega Man Battle Network series. We've featured a theme from this game's sequel, but this is actually the first time we've had the original Mega Man Battle Network on our list of favorite VGM. While there have been many versions of Home throughout the Battle Network series, nothing beats the original. Dakota Star was a band that did a lot of work with Daiki Kasho, a composer who has done work for games like F-Zero GX, Gran Turismo, and other projects outside of gaming. 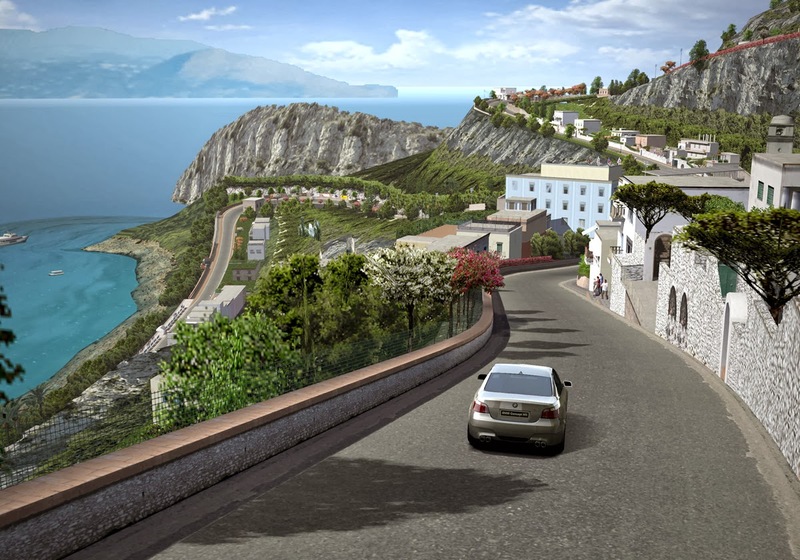 One of our favorite Kasho compositions comes from Gran Turismo 4, Soul Surfer. It's perfect for making the minutes pass much faster in one of those confounded endurance races. The PlayStation Portable was home to so many excellent games. Between the PSP and the DS, both handhelds had the greatest number of stellar and noteworthy titles. That's right, consoles-- move it on over. Jeanne D'Arc was a strategy RPG with great art, interesting characters, and fun gameplay. Its music was sometimes forlorn, sometimes cheery, but always entertaining. 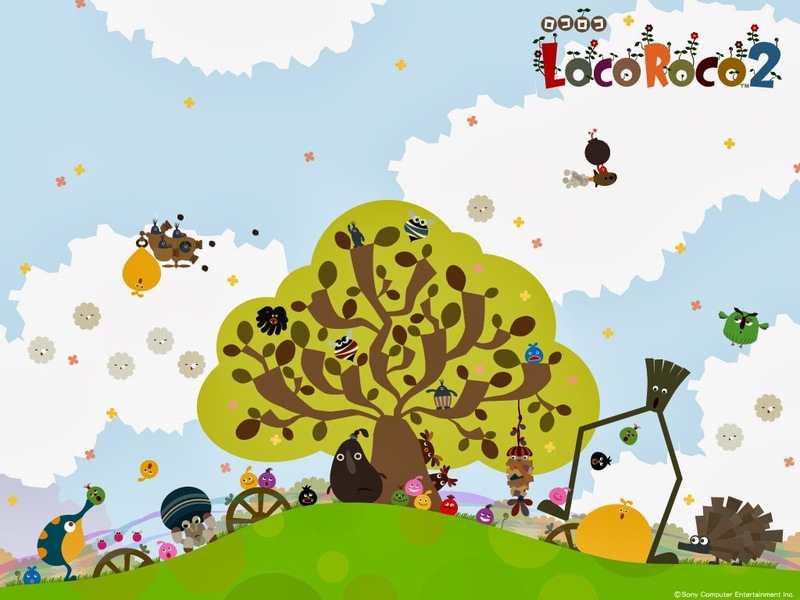 One of the best PlayStation Portable franchises that came out and premiered on that system is the LocoRoco series. Its innovative and functional control scheme, stylized visuals, and clever design made it a series to remember. Its eccentric music, meant to come across as being performed by the LocoRoco themselves, might not be everyone's cup of tea, but it fits our tastes just nicely. Go Shinra is a fabulous composer, who has also done work on the Ace Combat series. His signature style is readily apparent in Gods Eater Burst, a game made to ride on the success of the Monster Hunter series. 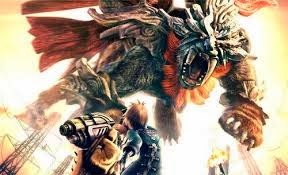 While the player in the game can kill immense beasts and creatures, the Gods Eater series couldn't come close to killing Monster Hunter.